Obituary for Mildred Van Horn | Ambrose Funeral Home and Cremation Services, Inc.
Mildred L. Van Horn (nee Henley), age 93, passed away peacefully on October 20, 2018. 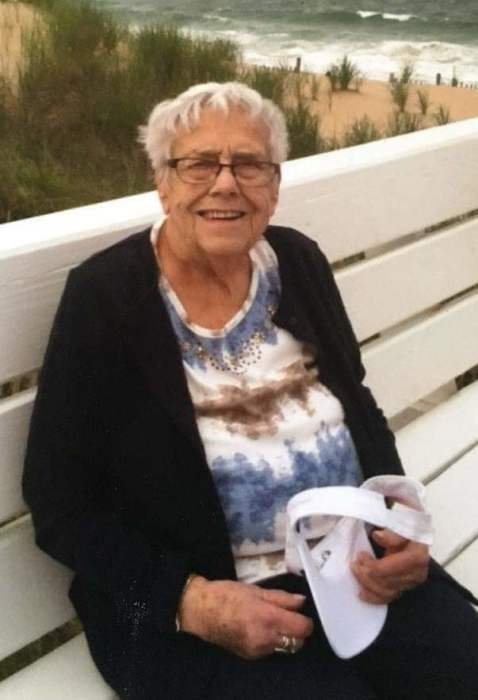 She is the beloved wife of the late Franklin Van Horn; loving mother of Linwood, Melvin, Thomas, Nancy, Deborah, Lawrence, Lorraine, and Karen; cherished grandmother of 20 grandchildren and 17 great grandchildren. A viewing will be held at Ambrose Funeral Home of Lansdowne on Tuesday from 3-5pm and 7-9pm. A funeral service will be held at Lansdowne United Methodist Church on Wednesday at 10am followed by burial at Meadowridge Memorial Park. In lieu of flowers the family asks that donations be made in Mildred’s memory to SWES at Arbutus UMC or Lansdowne UMC.